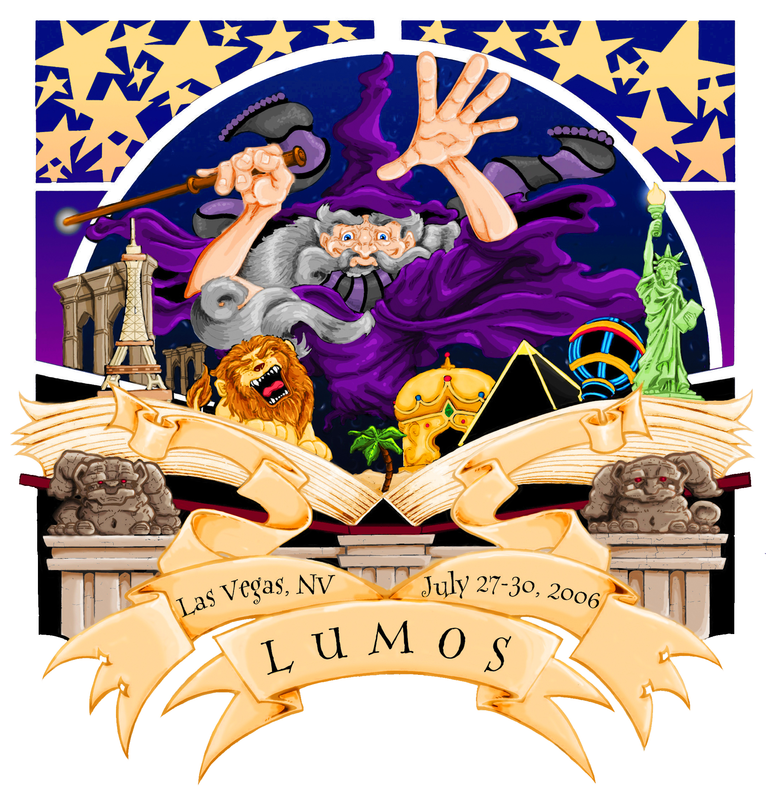 From July 27 through 30, 2006, Las Vegas, Nevada – the Muggle “City of Lights” – played host to Lumos 2006: A Harry Potter Symposium. 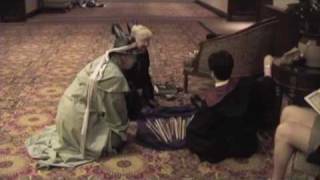 The conference was held at the JW Marriott in Summerlin, just north of town, and featured a Saturday night “Hogsmeade Trip” with shuttle service to the Strip, to sample the delights and distractions of Vegas. Lumos took attendees “Back to School.” Friday and Saturday featured full days of a variety of academic presentations and panels, including special workshops for educators and librarians. Friday’s poster session was the first of its kind at an HPEF event. The most eager of Ravenclaws continued their studies on Friday night with Magical Night Classes (all houses welcome). By the numbers, Lumos sported 7 tracks over 16 programming hours plus 5 half-hour “night classes” and the poster session, for a total of over 101 programming offerings. In keeping with the theme, conference planners decorated the host hotel to give it a “Hogwarts” feel. House tables were set up in the Great Hall, a Common Room for all four houses exhibiting school spirit with their house banners, and a library in the Art Gallery to browse the latest books about Harry. Artists gathered to create new works together. The Keynote lunches were both panels: One on the importance of Severus Snape to the story of Harry Potter and one on the role of education and educators to the Wizarding World and Harry’s development in particular.